This coming weekend brings one of my favorite events of the year: the annual Malice Domestic convention in Bethesda, Maryland—Friday through Sunday, April 27-29, and in new digs this time, at the Bethesda North Marriott Hotel and Conference Center! 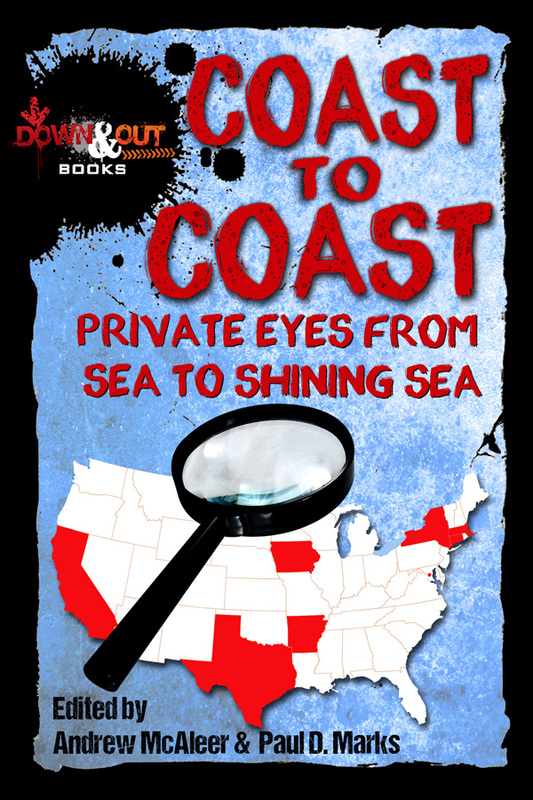 I’m thrilled that one of my stories—“A Necessary Ingredient” from Coast to Coast: Private Eyes from Sea to Shining Sea—is a finalist for this year’s Agatha Award for Best Short Story, and I’m looking forward to celebrating with my fellow finalists and with everyone on this year’s Agatha slate, and just generally excited about seeing so many folks from the mystery community, people I don’t get together with as often as I’d like. “Make it Snappy: The Agatha Best Short Story Nominees,” with Gretchen Archer, Barb Goffman, Debra H. Goldstein, and Gigi Pandian, moderated by Michael Bracken • Friday, April 27, 2 p.m. Opening Ceremonies • Friday, April 27, 5 p.m. Author Signing • Saturday, April 28, 10 a.m.
Agatha Awards Banquet • Saturday, April 28, 7 p.m. The Agatha Tea and Closing Ceremonies • Sunday, April 29, 1:30 p.m.
And beyond Malice, here’s a glimpse at other events on the calendar—a busy last spring and summer ahead! Panel: “Writing a Page-Turner” with E.A. Aymar & Delancey Stewart, moderated by Salley Shannon, Washington Writers Conference, sponsored by the Washington Independent Review of Books, College Park Marriott Hotel & Conference Center, 3501 University Boulevard East, Hyattsville, MD • 9 a.m.
Workshop: “Something Is Going To Happen,” on writing suspense, Writing Intensive, Mellon Hall, St. John’s College, 60 College Avenue, Annapolis, MD • 1:55 p.m.
Suffolk Mystery Authors Festival, Suffolk Center for Cultural Arts, 110 West Finney Avenue, Suffolk, VA • 1-6 p.m.